Freeware toolkit Range of Software expert in providing a preview of a data file of multiple email clients. For example, a data file of Outlook, Thunderbird, Windows Live Mail, Apple Mail, etc. A user can open and read any size file without any limitation. freeware utility softwares provides a preview of all data item stored in data file like emails, contacts, calendars. 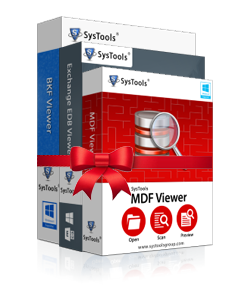 Moreover, one can view file data in multiple views also like hex view, property view, RTF view, etc., for deep data analysis with Freeware bundle of software. In order to view contacts of multiple platforms, it is the best freeware utility. Using these freeware tools, a user can open contacts of Outlook, Thunderbird, Gmail, etc. It provides a view of all contact details like name, address, organization name, email id, URL, etc. In addition, it provides a view of an image associated with each contact. The freeware software suite provides an option to sort all contacts also maintained in the single file. With the help of this Free Software Suite, a user is also allowed to view server data file also. Freeware Tools Range of Softwares are also capable to provide a preview of data stored in a corrupt data file of the server also. Apart from this, a user can open and view emails along with attachments maintained in it. In the case of highly damaged server file, the free utilities will offer quick and advance scan mode. In addition, it provides a view of all data items like emails, contacts, calendars, etc. The best free tools for Mac OS is that a user can manage the Mac OS data in the much better way. It allows users to handle and view Mac email client data on Windows machine without any hassle. Moreover, to handle PDF file on Mac machine, there is some free software that one can try. The freeware utility softwares does not require any extra installation to open and view data file of Mac machine. This freeware bundle is capable to open any file related to Mac OS in no time. This freeware software suite also provides software to handle a PDF file with care and in an organized way. Using this range of software, one can compact, merge, and split the file based on his/ her choice. The best part about the application is that it does not make any changes in PDF file while performing any action on it. Any of free software for PDF file does not require Adobe Acrobat installation on the local machine. The best free tools for Windows has many applications to manage multiple types of files. A user can open, view and read data of Windows OS using this range application. Freeware toolkit Range of Softwares allows you to control data stored on Windows machine in a more proper way. One can easily lock or unlock the file from other computers. However, a user can view data from multiple types of Windows backup file also. The free tools are compatible with all version of Windows OS. There are various situations in which a user forget or lose password of their account. To overcome such circumstances, a user is suggested to take help this Free Software Suite. It allows users to recover and set the new password in just a few simple clicks. The software is designed in such manner that one can recover password of any type like multilingual, numeric, etc., with these free software. In most of the cases, viewing database file is not easy on the local machine. For example, orphan, corrupt or inaccessible database files are really difficult for a user to open. Thus, to overcome all such situations, one can take help of the free database viewer software. These freeware tools help in providing view of complete data i.e., tables, keys, triggers, columns, etc. The software will quickly scan and open damaged database file without any limitation. There is some unique document file type like XPS and EPUB, which can be opened and viewed by some specific application only. Thus, to make this convenient for the users to access, there is a free range of software offered by the tool. This Freeware toolkit Range of Softwares allows users to open and view such documents file at free of cost. The software is designed in such a manner that it allows sorting data stored in XPS file by various attributes like name, size, etc. Can I open and view corrupt file data also using this freeware software suite? Yes, a user is allowed to open damaged, a corrupt, and inaccessible data file with the help of freeware utility softwares. Is there any file size limitation imposed any software in the range of freeware products? No, these freeware tools does not impose any file size limitation while viewing data file of the email client. How to open the damaged file using any of the Free Software Suite? Does this range of software require any extra installation to run the application? No, any of the free software does require extra installation to run the application on the local machine. Does the best free software provide of attachments also associated with each email? Yes, a user can view all data items stored in the data file using these free utility along with attachments. Can I run Windows-based applications on any OS version? Yes, a user can easily run these applications on all version of Microsoft Windows OS. Is it possible to view contacts of various email clients maintained in data file? Yes, one can use this freeware software suite to open and view contacts of any email client without any hassle. Being a forensic investigator, daily I came across multiple file formats to view and analyze. Most of them are hard to open as they are application specific. After a very deep search, I came across this Freeware toolkit Range of Softwares . It helps me in viewing and examining multiple types of data file in a trouble-free manner. The software are very user-friendly and easy-to-use. Great work development team. I am normal user just want to remove watermark from PDF file to create report for my project. When I searched on the internet for the same service, there are number of paid software. But, I do not want to purchase. After that, one of my friends suggested me to use the freeware software utility by SysTools. I must say that it was a great experience using freeware utility softwares by SysTools. Managing data files on Windows machine has now become really easy for me via the best free tools for Windows. Thank you much SysTools for understanding and solving our daily problems in such convenient way. I am definitely going to suggest this Free Software Suite to my colleagues also and let them make their daily task easier.